Need for Speed Hot Pursuit received several DLCs (Downloadable Content) after the game's release, which you can purchase through the in-game store. Here you can find a short overview of the released download contents for NFS Hot Pursuit. Unfortunately the DLCs are only available for console gamers on Playstation 3 and Xbox 360. Armed and Dangerous brings you two all-new game modes - "Most Wanted" is an open world battle where the cops are out to bust a specific racer whilst the racers battle to protect them. Use the open world, weapons and team tactics to win. "Arms Race" is free-for-all racing with all weapons active. Get three new achievements and trophies. Get it for $6.99 or €6.99 (560 Microsoft Points) on the PlayStation®Network or Xbox LIVE™ Marketplace. Out on February, 22nd 2011. Out on March, 1st 2011. Porsche Unleashed brings you yet more Porsche love - the classic '82 Porsche 911 Turbo, Porsche 959 and 911 Speedster. Check out 10 new events and 4 new trophies and achievements. Get it for $6.99 or €6.99 on the PlayStation Network or 560 Microsoft Points on Xbox LIVE Marketplace. Out on March, 8th 2011. All of the cars will be available as a cop and a racer. The Super Sports Pack was released on December 21st for Xbox 360 and Playstation 3 in North America - in Europe the download was be released one day later on December 22nd. This DLC requires the Update 1.1 of the game. 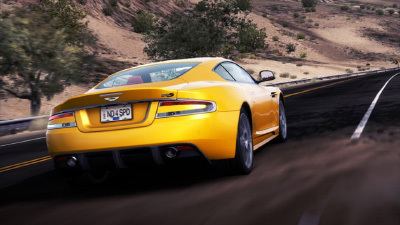 The cars were released with the Update 1.1 of the game on December 22nd, 2010. The SCPD Rebels Pack adds seven new cars to the Racer line-up, which previously were only available to the police side. The SCPD Rebels Pack was released in November 2010. The Timesaver Pack is available in two variations: the Racer Timesaver Pack and the SCPD Timesaver Pack. Don't expect too much, both packs do nothing else than giving you immediate access to all cars in the game. The Racer Timesaver Pack unlocks all racer cars and the SCPD Timesaver Pack all cop cars. Both packs were released short after the game's release in November 2010.